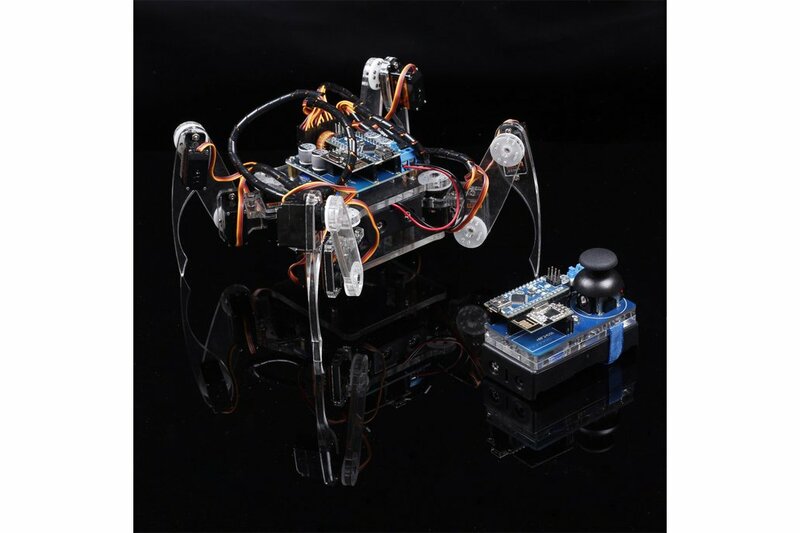 It includes everything you need to build a cool crawling quadruped robot with wireless remote control. 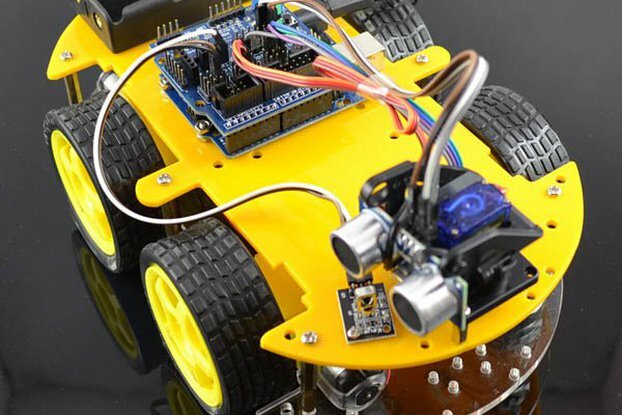 This is the Crawling Quadruped Robot kit for Arduino. 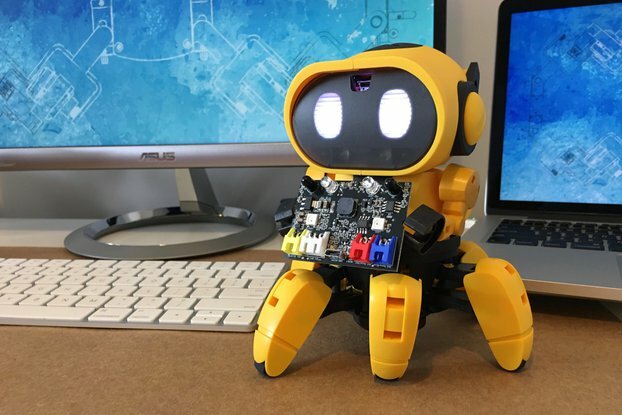 It includes everything you need to build a cool crawling quadruped robot with wireless remote control. 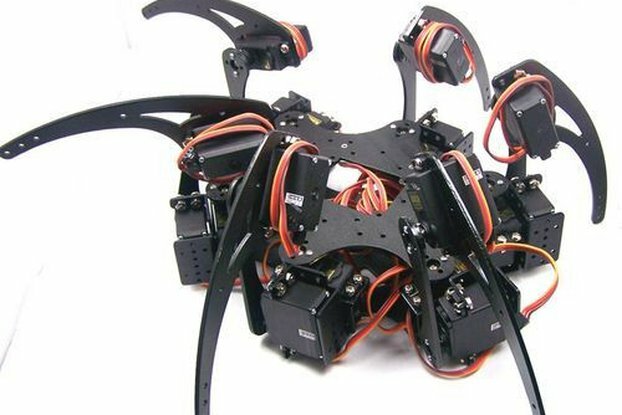 Powered by two 18650 rechargeable lithium batteries, it's a four-leg mobile robot and each leg has three joints driven by servos. 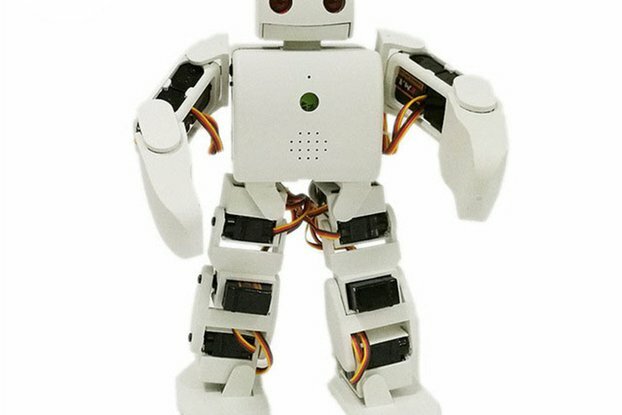 This kit is also equipped with a remote controller so that you can observe and control the robot remotely. With the sample sketches provided, you can make the robot move forward, backward, left, and right or dance by remote control. You can also make your own sketch to realize different movements. The materials are not provided with a CD any more. You may find them at http://www.sunfounder.com/index.php?c=case_incs&a=case_nr&type=31.